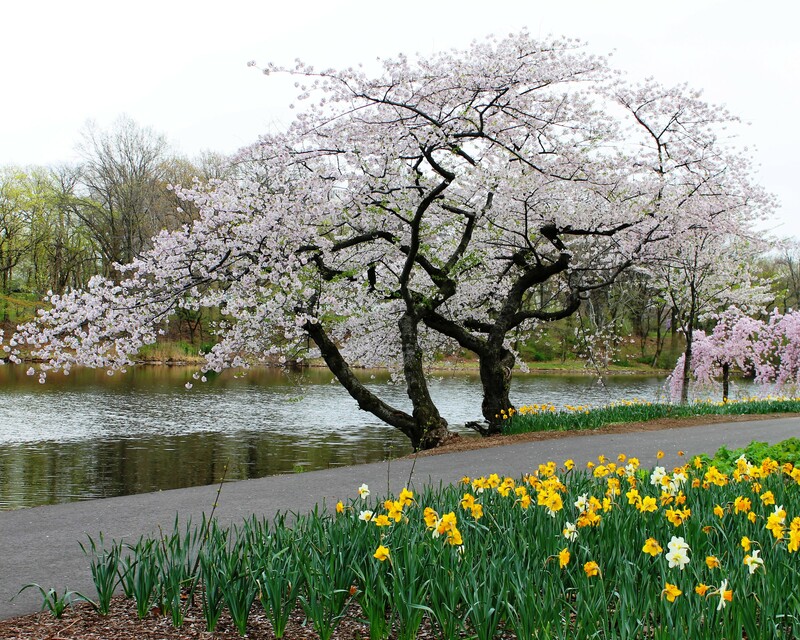 Have you ever travelled the Garden State Parkway in Essex County, New Jersey? If so, you may recall passing through a rather large cemetery. Headstones appear on both the north and south sides of the Parkway. But don’t worry! According to Wikipedia, the Parkway was not built on top of the cemetery and there are no burials beneath it. The section of the cemetery on the south side was purchased after the Parkway was constructed. Now, if you were unfortunate enough to get stuck in traffic, which occurs all too often right before Exit 145 (Rt. 280), you may have been impressed by what appears to be a sea of headstones and monuments. The cemetery is filled with early examples of headstones, impressive mausoleums and many funerary sculptures of angels, saints, etc. Wonder what cemetery this is? Good question. The Parkway passes through Holy Sepulchre Roman Catholic Cemetery located in East Orange and Newark, Essex County, New Jersey. The cemetery, part of the Archdiocese of Newark, was founded in 1859. If you had Catholic ancestors who lived in Newark, and neighboring towns in Essex County, in the late 19th and 20th Centuries, there’s a good chance they were buried here. Many of Newark’s Catholic immigrant communities including the Irish, Germans, Poles, Italians, Czechs and Slovaks were buried in Holy Sepulchre. So how do you know if one of your ancestors was buried in Holy Sepulchre? In your genealogy research, one of the first records you should obtain is the death certificate for your ancestor. The New Jersey death certificate should list the place of burial and possibly the date of burial. Sometimes the name of Holy Sepulchre was shortened on NJ death certificates, so you may see something like CHS – short for Cemetery of the Holy Sepulchre. If they died before 1955 your ancestor’s death certificate can be obtained from the New Jersey State Archives in Trenton, NJ. You can do an in-person search at the Archives or enlist the help of a NJ genealogist. For death certificates issued after 1955, you’ll have to go to the Department of Health and Senior Services, Bureau of Vital Statistics and Registry in Trenton, NJ. You also have the option of visiting the local vital statistics office in the town where your ancestor’s death occurred. Not sure where that is? Click here for a listing of NJ vital records offices. Genealogy Tip: If you’re going to a local vital statistics office for a death certificate, you need to identify the town where the death of your ancestor occurred. This may not be the same town as where your ancestor last resided. There is always the possibility that your ancestor died at a hospital in a neighboring town, at the home of a relative, or at another location altogether. If you are uncertain where in New Jersey you ancestor died, you’re best bet is to obtain the death certificate at the New Jersey State Archives or at the Bureau of Vital Statistics in Trenton. In addition to your New Jersey ancestor’s death certificate, you can also search for an obituary or death notice in one of the local Newark NJ newspapers like the Newark Evening News, which is available on microfilm at the Charles F. Cummings New Jersey Information Center at The Newark Public Library. 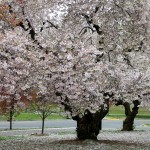 Obituaries and death notices typically mentioned where the deceased was buried. The Archdiocese of Newark has a Find Your Loved One search on its website. This database is great for several cemeteries in the Newark Archdiocese like Gate of Heaven Cemetery in East Hanover or Holy Cross Cemetery in North Arlington. Holy Sepulchre, however, has yet to be added to the database (as of 20 April 2017). The Archdiocese’s website notes that they are currently working on adding Holy Sepulchre Cemetery and Holy Name Cemetery in Jersey City. But you definitely should check back in the future. The database usually provides the name of deceased, date of burial and the location of the burial within the cemetery. While your main focus should be on obtaining your New Jersey ancestor’s death certificate and/or obituary, you can also check a favorite resource of many genealogists: Find A Grave. Holy Sepulchre’s listing on Find A Grave states there are currently (as of 20 April 2017) 164,261 indexed internments. Just be forewarned that not all burial entries on Find A Grave will have complete information like the plot number. Plus, information located in an entry that does not come directly from the headstone is not typically sourced, so it is difficult to assess the accuracy of the information inputted by the Find A Grave user. Holy Sepulchre Cemetery is still an active cemetery with a cemetery office. 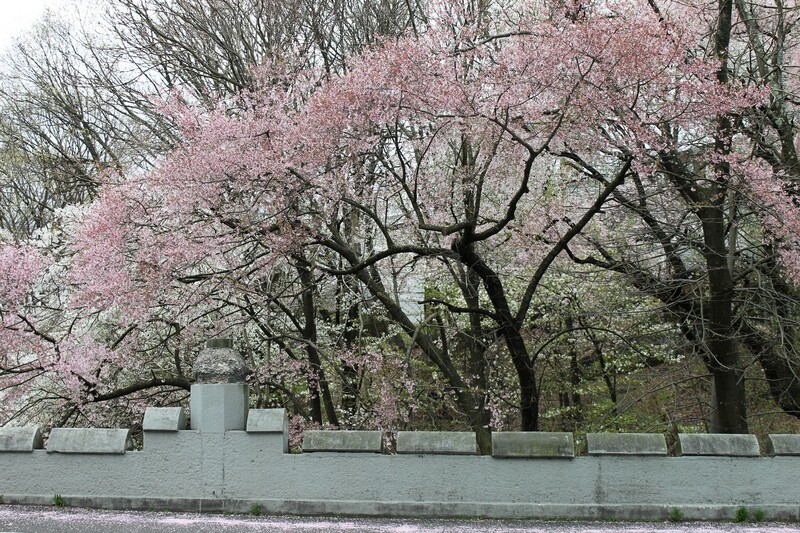 If your NJ ancestor’s death certificate and/or obituary point to Holy Sepulchre for burial, you can visit or call the cemetery and the cemetery’s very helpful staff can search for the location of your ancestor’s burial. They may also be able to tell you if any other relatives are buried with your ancestor. Other than the cemetery office, there is another method to find the location of your ancestor’s burial. The Msgr. William Noé Field Archives and Special Collections Center at Seton Hall University in South Orange, NJ has burial cards on microfilm for Holy Sepulchre from 1859 to 1970, arranged alphabetically by surname. According to their catalog, they also have a series of day books for the cemetery covering 1859 to 1914. These records were originally filmed by the Genealogical Society of Utah in 1984/1985. 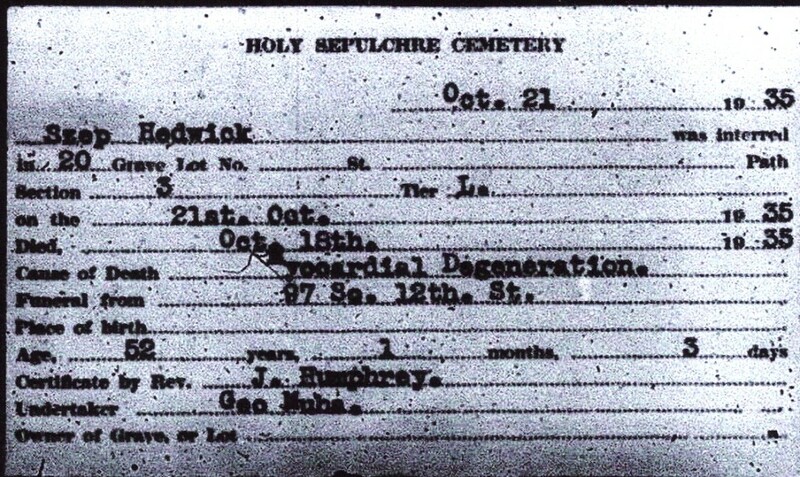 You can search through the burial cards at the Archives at Seton Hall, order the pertinent microfilms from the Family History Library (click here for a list of the films), or you can view the digital images on FamilySearch.org at your local Family History Center. Genealogy Tip: when searching for the burial card, or any other genealogy record, try alternate spellings of the surname. Variations in spelling of a first name and surname are not uncommon before the second half of the 20th century. The burial cards can provide a wealth information including the location of the burial, date of death, date of burial, cause of death, where the funeral took place, age at death, the presiding officiant for the burial and the name of the undertaker. You may not find all of this information for every burial card you find, but it is definitely worth the search. 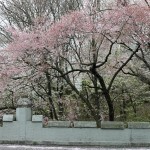 Once you have obtained your NJ ancestor’s burial card you can locate where in Holy Sepulchre Cemetery they are buried. As you can imagine, this is a very large cemetery. You’ll need help from the cemetery office to help point you in the right direction. Trust me, this is not one of those cemeteries you can just walk through and locate your ancestor’s headstone – if they actually have a headstone. 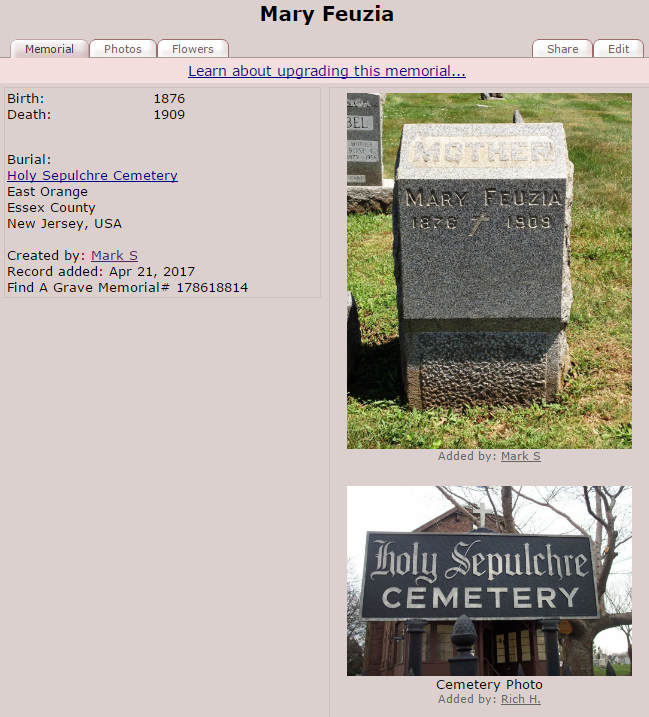 A quick Google search found a handy map of Holy Sepulchre Cemetery on the Kalemba-Malecki Genealogy pages. This map can give you a general idea of where the cemetery sections are located, but you will probably need a bit more help from the cemetery office. NEED HELP RESEARCHING YOUR NEWARK NJ ANCESTORS? CLICK HERE TO GET STARTED. WE’RE READY TO DISCOVER UR HISTORY! 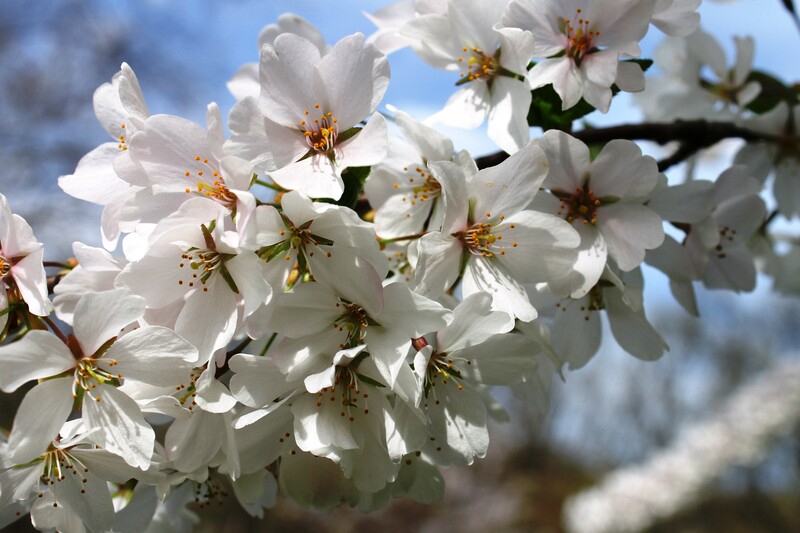 Welcome to the first edition of a blog series we created to highlight the latest updates and additions to online New Jersey genealogy records and databases. Knowing which New Jersey genealogy records you want to search for is always the first step, but knowing where to look for those records can prove challenging. 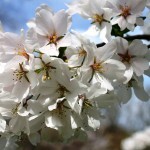 The good news: more and more New Jersey genealogy records and New Jersey genealogy databases are being regularly updated and launched online among the big genealogy providers like Ancestry.com and FamilySearch.org. You also should not overlook the efforts of New Jersey’s archives, historical and genealogy societies who provide online access to genealogy databases specific to their area or their holdings. We’ve searched online for all things related to New Jersey genealogy and created this list of recently updated or recently launched New Jersey genealogy records and genealogy databases. We hope this list of New Jersey genealogy resources helps you further your New Jersey family history research and maybe break down a brick wall or two. Don’t see a specific New Jersey genealogy record collection or database in the list that you know was recently updated or launched? CONTACT US HERE and let us know. 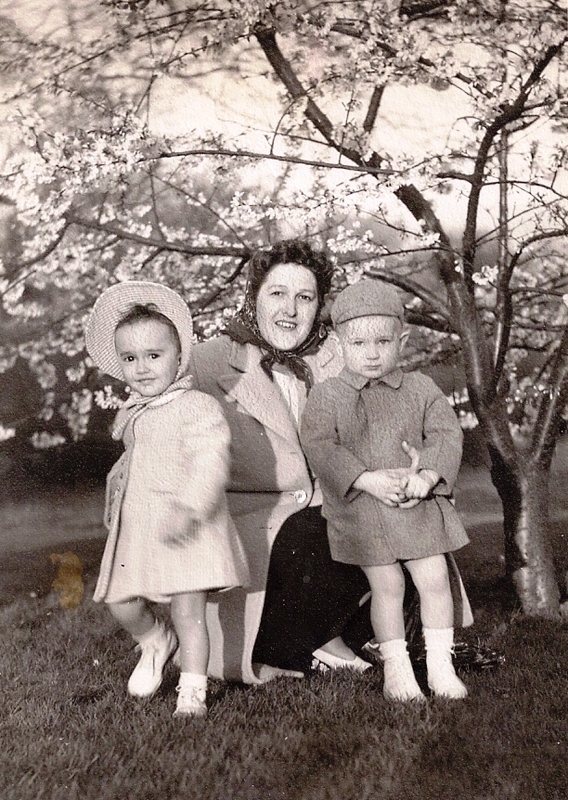 We’ll update this blog post or hold it for an upcoming NJ GENEALOGY RECORDS ROUNDUP. Site: FamilySearch.org; Added 8 Apr 2016; Index of birth records from various locations in New Jersey for the years 1670 to 1980. Though the title of this collection lists 1670-1980 as the date range, these record indexes really cover births from 1848 to 1900. The original source for this database appears to be the New Jersey index to records of births, marriages, and deaths, 1848-1900 with various Family History Library (FHL) microfilm numbers. These microfilmed indexes are viewable online at your local Family History Center. The original registers and certificates are available at the New Jersey State Archives in Trenton, NJ. Site: FamilySearch.org; Added 8 Apr 2016; Index of death records from various places in New Jersey for the years 1670 to 1988. Similar to the New Jersey, Births, 1670-1980 database listed above, these record indexes really cover deaths from 1848 to 1900. Their original source also appears to be the New Jersey index to records of births, marriages, and deaths, 1848-1900 with various FHL microfilm numbers. These microfilmed indexes are viewable online at your local Family History Center. The original registers and certificates are available at the New Jersey State Archives in Trenton, NJ. 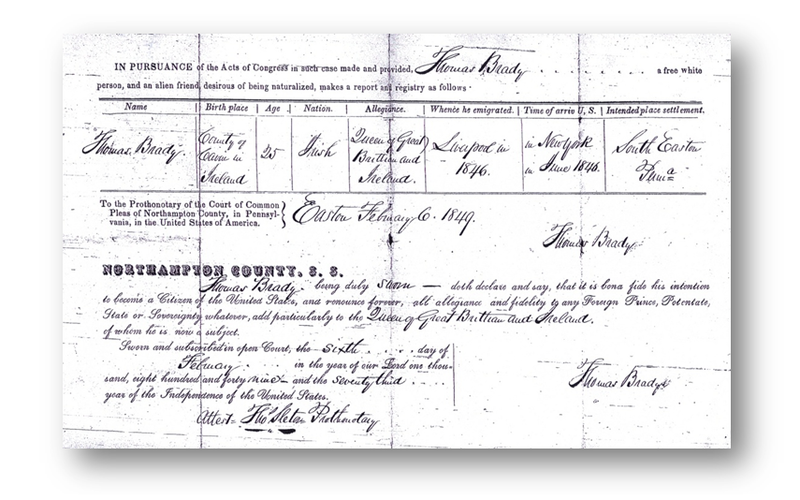 Site: FamilySearch.org; Added 4 Apr 2016; this database is described as an index to selected marriage records located at the New Jersey State Library and to marriage card indexes created by the Gloucester County Historical Society, the Salem County Historical Society and the Genealogical Society of Pennsylvania. One of the main sources of this database appears to be the New Jersey index to records of births, marriages, and deaths, 1848-1900 with various microfilm numbers. Another collection also included in this database is the Vital statistics index from Trenton newspapers, 1800-1900, FHL microfilm no. 542512-542529. Site: FamilySearch.org; Added 7 Mar 2016; the Wiki for this indexed collection describes it as containing church records from various denominations in New Jersey. Currently, it appears as if this database only includes an index and images for one Roman Catholic Church in New Jersey – St. Mary’s Roman Catholic Church in Rahway, NJ, FHL microfilm no. 1398807. The original records are viewable online at your local Family History Center, or you can order the microfilms from the FHL. You also have the option of viewing the microfilm at Seton Hall University Library – Special Collections. Site: FamilySearch.org; Added 4 Mar 2016; image only collection of the 1855 NJ State Census. Microfilms of this census are also available for viewing at the New Jersey State Archives in Trenton, NJ. Site: FamilySearch.org; Added 4 Mar 2016; image only collection of the 1865 NJ State Census. Microfilms of this census are also available for viewing at the New Jersey State Archives in Trenton, NJ. Site: Ancestry.com; Added 22 Feb 2016; an index and images of United Methodist Church records in New Jersey. The original source is listed as church books held by the Greater New Jersey United Methodist Church Commission on Archives and History located in Madison, NJ. The majority of these records consist of member lists from various New Jersey churches. Site: Ancestry.com; Updated 14 Apr 2016; described as an index and images of probate records for all counties in New Jersey. The original source for these records is loosely described as New Jersey County, District and Probate Courts. The more specific source of for these records is a series of microfilms from the FHL:, who in turn filmed the original records held by the New Jersey State Archives. For example, one collection included in this database is Probate records, 1780-1930; indexes, 1803-1971 [Middlesex County, New Jersey], FHL microfilm no. 861168-940362. Although not indexed, these records are available online at FamilySearch.org and are available on microfilm at the New Jersey State Archives in Trenton, NJ. Be sure to check FamilySearch.org and the New Jersey State Archives’ collections of wills and probate records – the Ancestry.com database may not be complete. 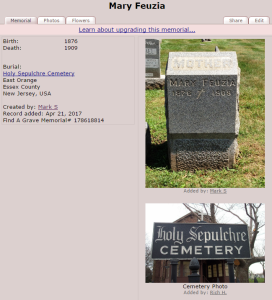 Site: FamilySearch.org; Updated 4 Apr 2016; this collection is described as a name index to birth, baptism and christening records from the state of New Jersey. For a full description of this collection check out its Wiki article at: New Jersey Births and Christenings (FamilySearch Historical Records). There is an overlap between this database and the New Jersey, Births, 1670-1980 database listed above. This collection also includes indexes of various church records in New Jersey that were microfilmed by the FHL. For example: St. Patrick’s Catholic Church in Jersey City, NJ, FHL microfilm no. 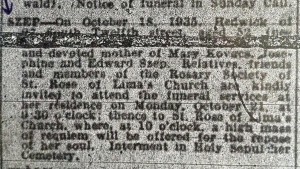 1403369 is included in the database as well as Sacred Heart Catholic Church in Bloomfield, NJ, FHL microfilm no. 1378248. Many of these microfilmed church records come from the Roman Catholic Archdiocese of Newark. 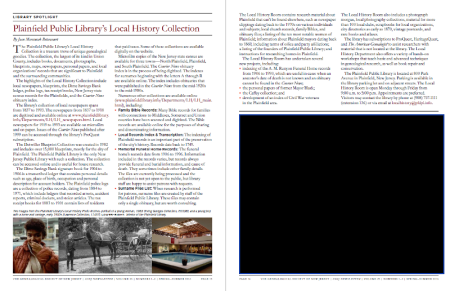 They are viewable online at your local Family History Center, or you can order the microfilms from the FHL. You also have the option of viewing copies of the Roman Catholic Archdiocese of Newark microfilms at Seton Hall University Library – Special Collections. Site: FamilySearch.org; Updated 4 Apr 2016; Index of marriage records from various places in New Jersey for the years 1670 to 1988. Similar to the New Jersey, Births, 1670-1980 database listed above, these record indexes really cover marriages from 1848 to 1900. Their original source also appears to be the New Jersey index to records of births, marriages, and deaths, 1848-1900 with various FHL microfilm numbers. These microfilmed indexes are viewable online at your local Family History Center. The original registers and certificates are available at the New Jersey State Archives in Trenton, NJ. Similar to the New Jersey Births and Christenings, 1660-1980 database listed above, this database also includes various church records in New Jersey that were microfilmed by the FHL. STILL NOT FINDING THOSE GENEALOGY RECORDS? While there are New Jersey genealogy resources available online, a good majority of genealogy records – especially vital records – are still only available in New Jersey archives, historical societies or libraries. If you’ve run out of options online and need someone on the ground, we’re here to help. We regularly visit repositories like the New Jersey State Archives, the New Jersey State Library, Rutgers University’s Alexander Library & Special Collections, and Seton Hall University Library – Special Collections, to name a few. CLICK HERE FOR A LIST OF ALL THE NEW JERSEY ARCHIVES & REPOSITORIES WE VISIT FOR GENEALOGY RESEARCH & FAMILY HISTORY RESEARCH. Naturalization records can provide a wealth of information on an ancestor including their birth date, birthplace or place of origin, when they immigrated, their port of departure and/or arrival, and possibly the ship’s name. Some petitions for naturalization also include important details, such as birth dates and birthplaces, on an ancestor’s spouse and children. This information can be extremely helpful when continuing your family research. 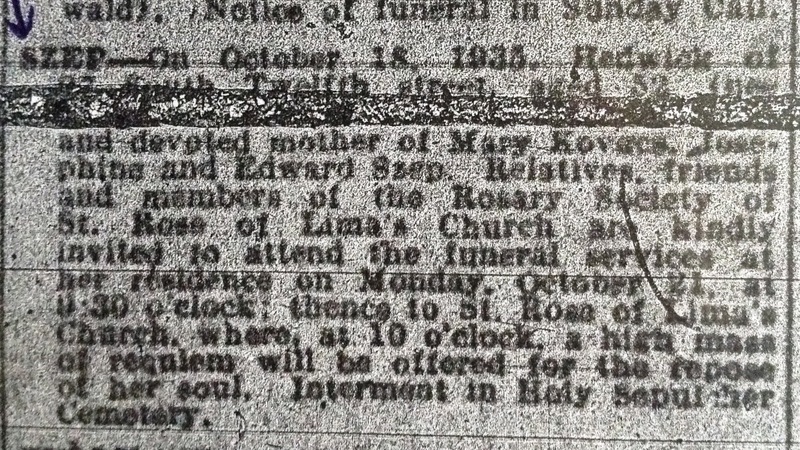 However, this rich detail is often absent in New Jersey naturalization records that pre-date 1906. Very often researchers are disappointed by the lack of information and specificity in early naturalization records. Pre-1906 naturalization records typically include the petitioner or declarant’s age, country of origin, year of immigration, maybe a port of arrival, but not much else. Here is an example of our great-great-grandfather’s petition for naturalization filed in the Court of Common Pleas of Middlesex County, New Jersey, on 24 September 1856. The record, of course, is not without great merit. 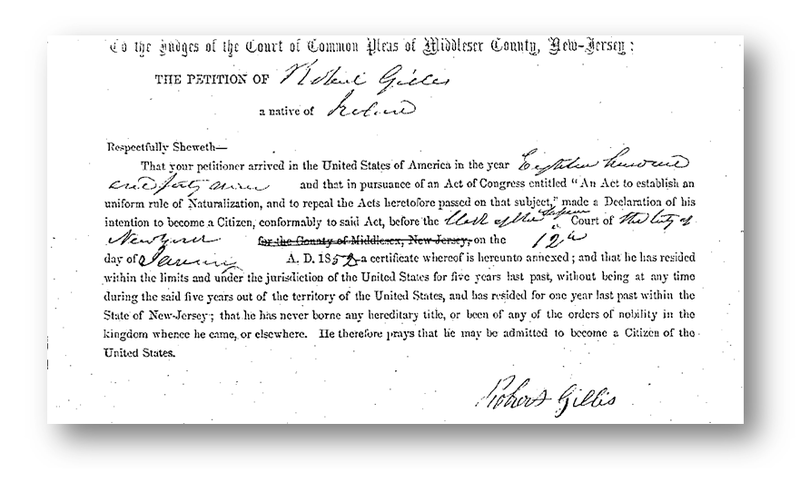 We learn that Robert Gillis was a native of Ireland, he arrived in 1849 and filed his declaration of intention to become a citizen with the Clerk of the Superior Court of New York City on 12 January 1852. But, we’re out of luck if we’re searching for where specifically in Ireland he originated. Irish genealogy research is heavily dependent on identifying where in Ireland an immigrant ancestor originated – the county, parish and/or townland. There were courts in other jurisdictions that required more detailed information prior to 1906. The records these courts generated have trickled into New Jersey record sets when an immigrant ancestor declared his intention to become a citizen in one jurisdiction and filed his petition in another. A copy of the declaration of intention, or other prior documentation, was often included with the applicant’s petition for naturalization. I recently came across a prime example of this situation while researching Warren County naturalization records at the New Jersey State Archives in Trenton, NJ. Thomas Brady filed a petition for naturalization in the Court of Common Pleas of Warren County on 3 October 1851. Included with the petition was a copy of his declaration of intention – also referred to in the documents as a Report and Registry – filed with the Prothonotary of the Court of Common Pleas of Northampton County, PA. While the record fails to provide a specific parish or townland in Ireland, we have at the very least narrowed down Thomas’ origins to County Cavan. We also have opened up new research avenues for a potential passenger list for Thomas. If the information provided was accurate, a search could be done for passenger lists with a departure from Liverpool and arrival in June 1846 in New York. Naturalization records can be a great resource of genealogical information. Pre-1906 records may not contain all the valuable information found in later documents, but every now and then you might just get lucky and discover a hidden gem. This is a good reminder to not overlook any records. Exhaustive searches are an absolute must when trying to answer important questions related to our ancestors. You never know where one bit of information could lead – possibly breaking down that long-standing brick wall. Need a little extra help? We regularly search for the origins of our clients’ ancestors. Contact us today to find out more about our genealogy and family history research services. CLICK HERE FOR OUR GENEALOGY SERVICES! 1Wikipedia (www.wikipedia.org), “Naturalization Act of 1906,” rev. 22:49, 30 December 2015. 3 FamilySearch Wiki (https://familysearch.org/wiki/en/index.php), ” United States Naturalization and Citizenship,” rev. 17:47, 6 March 2016. 4 Wikipedia (www.wikipedia.org), “Easton, Pennsylvania,” rev. 19:11, 11 April 2016. Every family has its traditions — some outlive their originators and are passed down through the generations, while others are relegated to memories and old photographs stored in that dusty box in the attic. 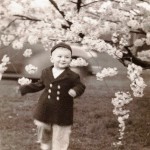 As genealogists we seek out those photographs and especially those traditions – when possible – to unearth aspects of the day-to-day life of our ancestors. Continuing those traditions helps us feel connected to our ancestors and reminds us that we are but one link in a very long chain that spans decades, eras and continents. 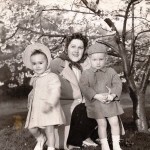 There also is a great joy in discovering a family tradition and reviving it – to create your own memories and your own photographs — that may one day find their way to a dusty digital box in a hard drive in the attic. 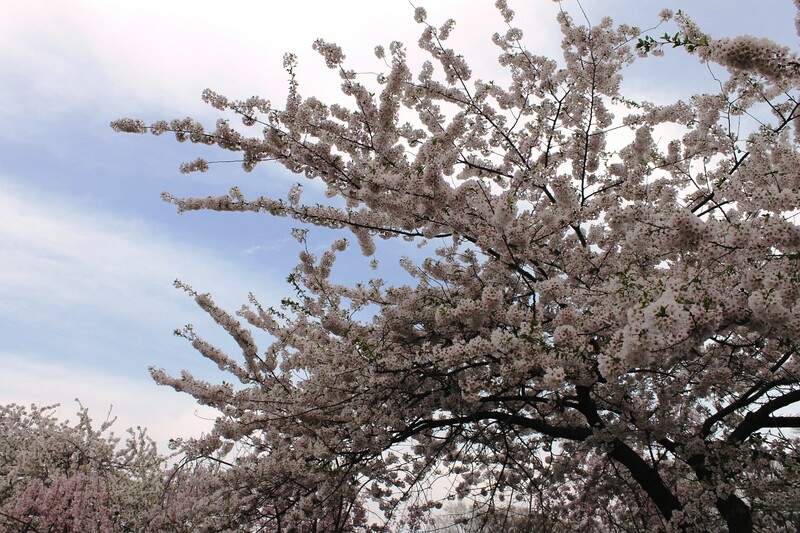 Now that Spring has returned once again and the final vestiges of winter have been shrugged off, I am reminded of one of my family’s traditions — the annual Easter pilgrimage to the sea of cherry blossoms at Branch Brook Park in Essex County, NJ. 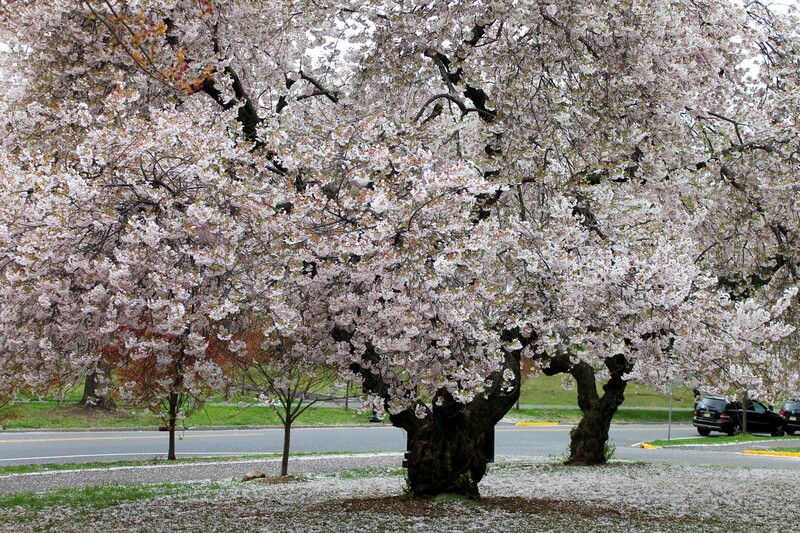 Branch Brook Park, located within Newark and Belleville, New Jersey, is the nation’s first county park — created in 1895.1 Designed by the Olmsted brothers in 1900, the park’s famous cherry blossoms arrived in 1927 as a gift from Caroline Bamberger Fuld, of the department store Bambergers. 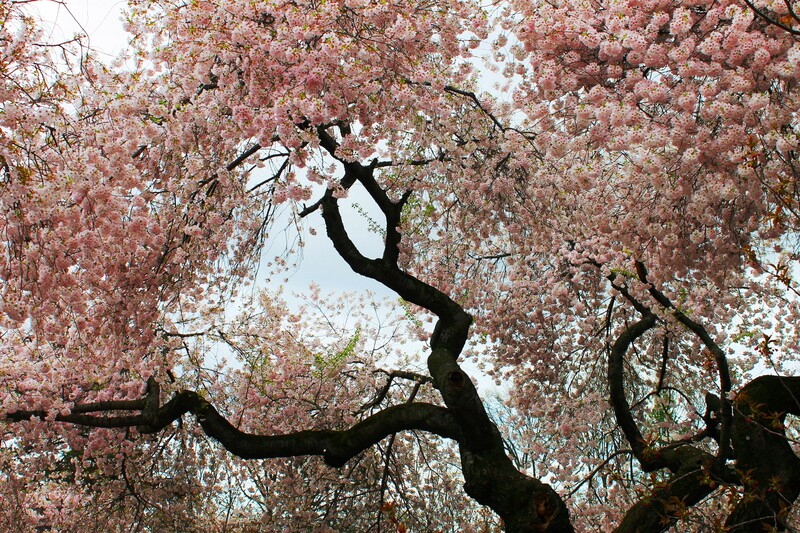 2 Thousands of people each year visit Branch Brook Park in April for its Annual Cherry Blossom Festival. 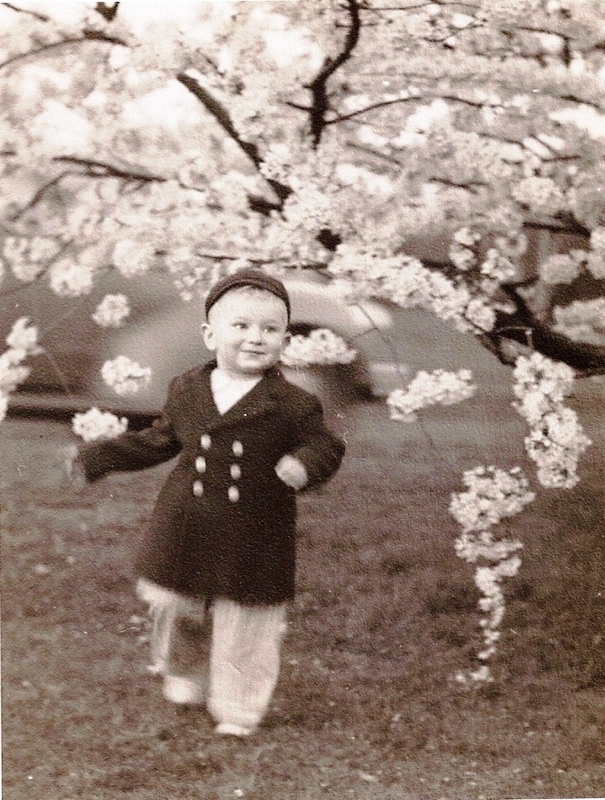 Since at least the 1940s, my dad’s family visited Branch Brook Park at Easter time. 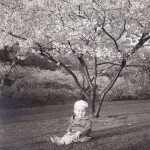 These special moments were captured and preserved in a series of photographs taken by my great-uncle, Alexander S. Nowicki, a Bloomfield NJ native and photography hobbyist. 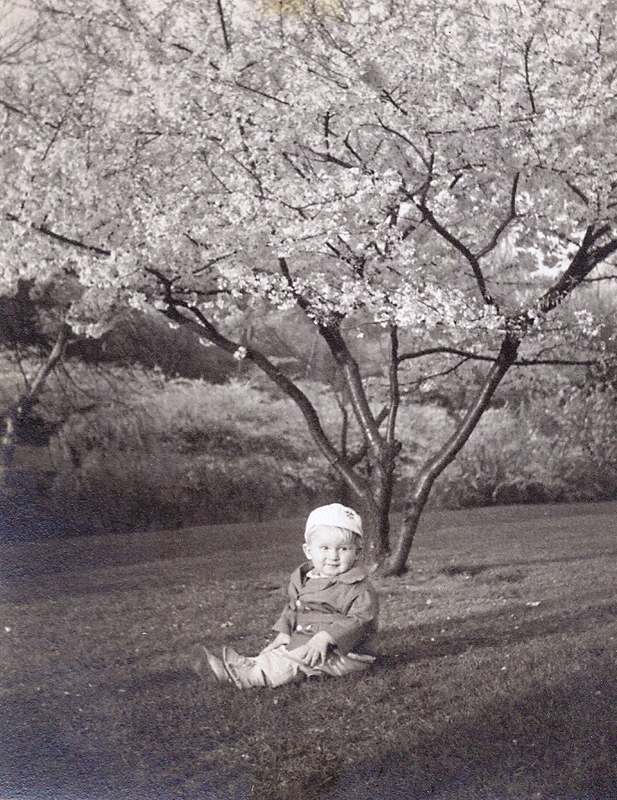 Thanks to great-uncle Al, we have many beautiful family photos from those trips to the cherry blossoms. Here are a few of his photographs. For several years now I’ve revived that annual trip to Branch Brook Park and just like my great-uncle Al my camera was in tow. 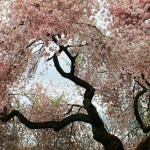 The cherry blossoms offer a visual treat for any photography enthusiast. 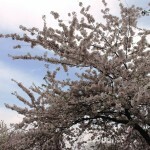 I’m sure we gazed upon the same beautiful tress and stood in some of the same spots trying to get that one perfect shot. Thankfully, the park has been well preserved and enhanced over the years ensuring that future generations can appreciate it the way so many others have including me and great-uncle Al. 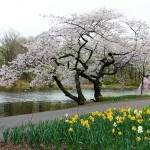 1 Wikipedia (https://en.wikipedia.org/wiki/Branch_Brook_Park), “Branch Brook Park,” rev. 23:17, 29 November 2015.